3 in all under 12hrs, all with PBs. Not too shabby. Great job guys! Tim went 11:02. Under a previous coach he was a DNF at his IM attempts. 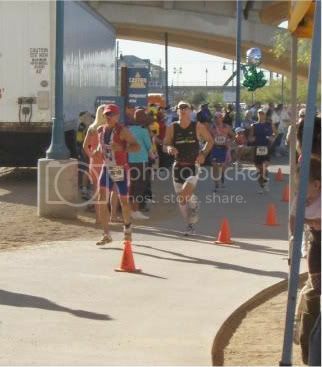 Crossing the finish line, to me, is a PB for him since he has started Ironman races before. I’m actually looking forward to his progress next season. He has managed to knock off over 32 minutes from his half IM PB this year dropping that into the low 4:30’s. I think next year he should be turning some heads around the AZ racing scene with people asking where he came from. Sorry Tim, I didn’t get any pics of you that my thumb wasn’t in the way. Jeff went 11:35. He overcame some late season injuries caused by a shoe switch which limited his run mileage during the final build. Jeff has a group of friends that are, or actually were of similar ability in IMs. To quote one of them, “I’m going to have to put the wife and newborn up for adoption if I want to get close to his time”. When you drop over 65 minutes off your IM PB, you actually just have to de-friend your old ones and go get faster new friends. Or you become King among the commoners. Billy was the third athlete going 10:14. He went about 30 minutes faster then he ever had. 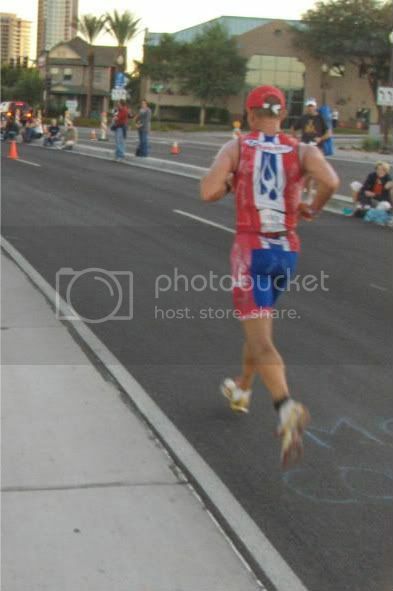 This was the first time he ever broke 4 hours in the Ironman marathon. 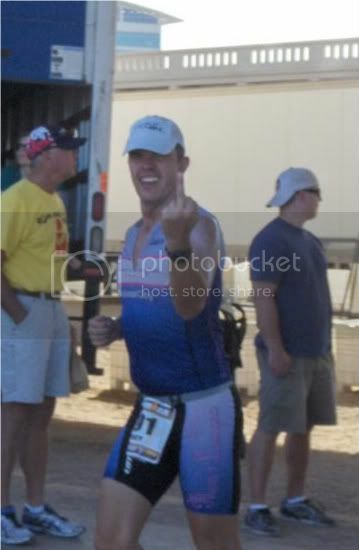 He got off the bike 7th in his AG, within striking distance of a Kona slot, but ultimately finished 14th in his AG. I’ve know Billy know for over 12 years, train with him often and have been coaching him for just over three. It’s been nice watching him get faster and faster as he does the work season after season. Now at 45, he is faster then when he was 35 or 40! I like Jeff. BIG fan.